Tosh Story: Snooki's new book is "Friggin Phenomenal"
Snooki just proved us that reading the "48 laws of power" while ridding a poney empowers you with the capability of writing. A Shore Thing, a novel inspired by her personal adventures, tells us how Giovanna "Gia" Spumanti and her cousin Isabela "Bella" Rizolli, have the sexiest summer ever. This according to editorial reviews from Amazon. 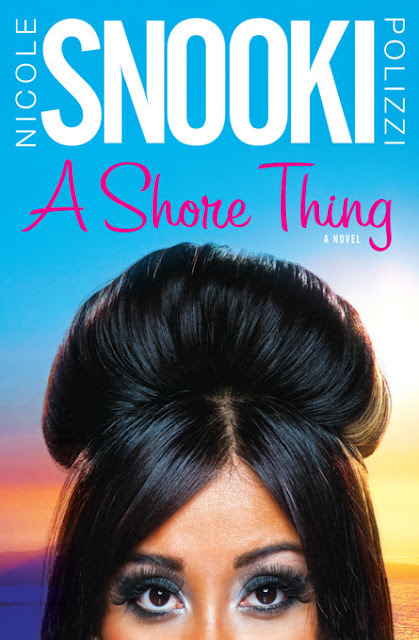 The book is out this week and, according to an interview Snooki gave to USATODAY, it's "friggin phenomenal". "Gia danced around a little, shaking her peaches for show. She shook it hard. Too hard. In the middle of a shimmy, her stomach cramped. A fart slipped out. A loud one. And stinky"
But I could bet it will sell a lot!